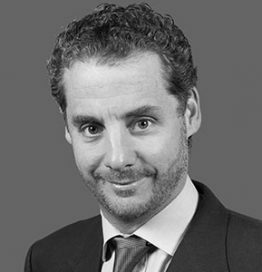 Cyrille Fabre is a partner in Bain & Company’s Middle East offices, specializes in retail, consumer goods and family businesses in the GCC. Cyrille has more than 18 years of management consulting experience and delivers strategies that work for leading businesses. He primarily advises retailers and consumer product companies on strategy, customer experience and performance improvement. He has also developed specific expertise in the Middle East food sector from producer to retailer. In addition, Cyrille works with economic development agencies to address topics such as retail sector strategies, food security and industrialization in the GCC region. Cyrille has applied his management consulting expertise globally with Bain, having worked in the firm’s Brussels office. His insights have been published and quoted in publications including Forbes, Gulf News, The National, Al Bayan and Saudi Gazette. Prior to joining Bain, Cyrille worked in marketing and consulting for IBM Middle East and Cap Gemini. He is also a former member of the executive committee for the French Business Council in Dubai. He holds an MBA from INSEAD/Wharton Business School, a Master’s in industrial relations from the London School of Economics and a Diploma in management studies with honors from the University of Cambridge.